IT'S almost at the point where if you're an AFL player and you're not being linked to Geelong you should start being offended. 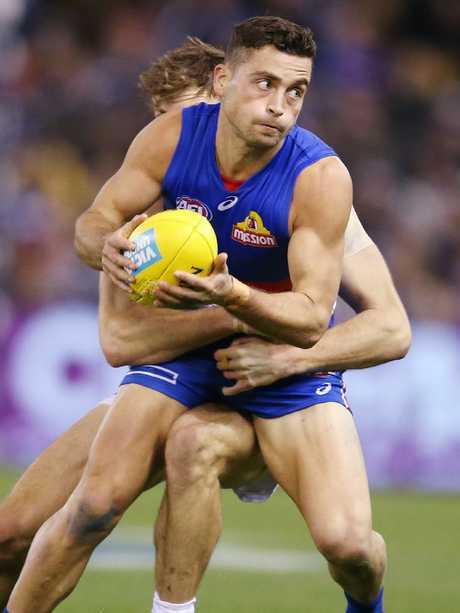 Premiership-winning Bulldogs small Luke Dahlhaus, who recently informed the club of his intention to leave, has been consistently linked to the Cats in recent weeks. Garry Lyon told SEN on Tuesday morning that Patrick Dangerfield had been actively courting the versatile forward-midfielder. "I heard (Dangerfield) owned up to the fact that he was courting Luke Dahlhaus through the year," Lyon said. "They've clearly identified Dahlhaus as a player who can help them, and Danger as he said through the year has been talking about getting him there." But new names have also bobbed in the past 24 hours. 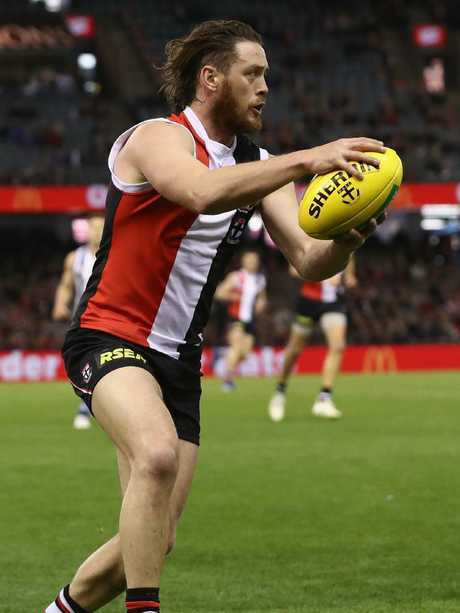 SEN's Sam McClure has reported St Kilda star Jack Steven is also in the Cats' sights despite the 28-year-old expressing no interest in leaving the Saints. "They (the Cats) have made a play and are inquiring about St Kilda star Jack Steven, who is contracted at Moorabbin for the next two years," McClure told SEN's Time On. "There is some background to this. A few years ago when Steven was a free agent, the club actually met with him but Steven decided it was within his best interests to stay. He signed a five-year extension and he is contracted until the end of 2020. 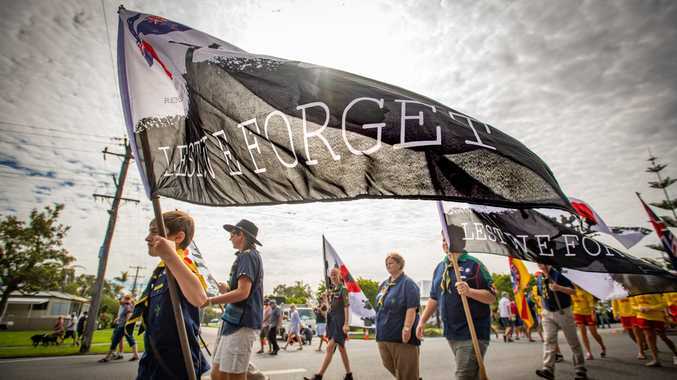 "The Cats have once again, perhaps smelling blood in the water at St Kilda, inquired about Steven's availability." 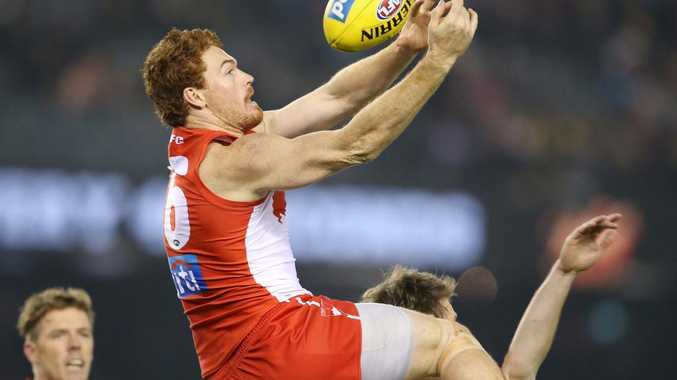 The Herald Sun's Jon Ralph also reported it was "likely" Sydney forward Gary Rohan would move to Geelong to be closer to family. Geelong are still grieving after the abrupt end to their AFL season, but coach Chris Scott isn't about to blow up the Cats' football program and start again. Geelong, who have made the finals in seven of eight seasons under Scott, have copped criticism for a recruiting strategy that has left them short of top-10 draft talent. But where others such as Carlton and St Kilda have bottomed out in a bid to stockpile high draft picks, a defiant Scott makes no apologies for his club's stated aim of trying to make the top four every AFL season. "What's the alternative? Fall down the ladder deliberately and accept that it's going to be a six-to-eight-year process?," he said on Fox Footy's AFL 360. "There are some parts to the way that we play that we need to shift to improve. "But three days post (our exit) I'm not prepared to say that what we're doing needs a complete overhaul and we're going to accept that we're just not good enough so slide down the ladder to rebuild. "I'm not even sure that that works - it may - but these are the discussions that we're having … You've got to put up with a lot of pain if you're going to go down that path." The Cats won the 2011 premiership in Scott's first year in charge, but have a 3-9 record in finals since. They are still licking their wounds after an elimination final loss to Melbourne that showed up several gaping holes in their line-up. Geelong have been active in the trade period in recent years, with Patrick Dangerfield, Lachie Henderson, Zach Tuohy and Gary Ablett among the experienced talent they've brought in. But Scott rejected the notion that his club's younger players hadn't been given a look-in at AFL level this season. While the pain of their finals exit is still acute, the Cats will forensically dissect their whole season as they plot the way forward. "We were frustrated, a lot of things didn't go well for us on the night (against Melbourne) that were really easy to identify in the post-game analysis," Scott said. "There are things that need to change but it's not as simple as looking at the last game and saying 'These are the things we need to fix to have a better year next year' … the problems go a little bit deeper than that."